COTA Central Ohio Transit Authority - Update? Spotted a lot of XN40s sitting in the yard next to some of the remaining 2700s friday. sadly no photo can say most if not all have been delivered. Because literally anyone can go on the website and type some comment chalk full of misinformation. Why is Youtube not a good reliable source for information? I mean, it's not illegal on this board but what's up with that? 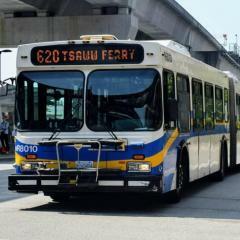 Yes, All monthly passes OC Transpo passes as well as transfers are accepted on STO buses. I am! I was told those selected would be contacted 2 weeks after the interview. I gave up waiting. For those of us visiting the area from out of town, what is the best option for getting a transit pass? I see that OC Transpo offers a day pass that can be purchased from the farebox or a ticket machine which seems pretty straightforward, but I'd be interested in hearing any other suggestions from those familiar with the system. I'm figuring on needing a pass probably for Tuesday and Wednesday. 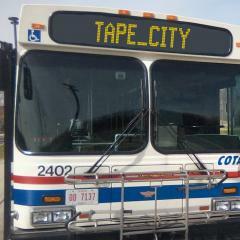 Also, am I correct in understanding from the OC Transpo website that OC's day pass is honored on STO buses? Here is my take on Alexandria DASH. Back in 2008-10, DASH was still a 100% 35ft. high-floor agency. 1999 Gillig Phantom bus 54 was the oldest bus I had pictured during either visit. Meanwhile, bus 103 from 2007 had proved to be the final high-floor bus bought new by the agency and has surprisingly been retired already. That batch of 4 buses were its only Phantoms fitted with LED headsigns. It had gone roughly 4 years without getting any new buses, until they got their first low-floor buses in 2011. During its high-floor era, DASH has a knack to dual source its buses and has built up a sizable fleet of 35ft. Orion V's. 2000 Bus 61 belongs to the oldest batch, and that batch of 10 buses were the only Orion V's fitted with dot-matrix headsigns. Meanwhile, bus 69 was the first of the 2002 batch of 8 buses and the first Orion V that were new with LED headsigns. 2004-05 buses 77 and 87 belonged to the largest batch of 14 buses, with the former being the first of the batch. Finally, 2007 bus 95 belongs to the final batch of 9 buses. All pictures (except bus 77 in March 2008) were taken in March 2010 at the King Street Metrorail (except bus 95 at the Van Dorn Street Metrorail), Here is my Alexandria DASH gallery: Alexandria DASH A bumper post on WMATA's bus operations back in 2008 is coming up in due course! Yeah that's true, but if there's a SkyTrain line along 104th/King George it wouldn't make much sense to keep that non-stop service to/from Surrey Central. AN 30-120 is on the 204. SN 39-018 is at SN on the 29. Anyone had seasonal maintenance interview in 2019 and still waiting??? Thank you, it's a blessing, being a bus operator is something ive always wanted. To answer your question, yes and no. The KCATA does have a central garage. But, under the RideKC umbrella, there's the Johnson County, KS division (or The JO), Wyandotte County, Kansas (Unified Gov't or Wyandotte County) and Independence, Missouri (IndeBus). The Jo has contracted drivers thru First Student and uses regular Gilligs while the other two entities under the RideKC umbrella are local/city gov't vehicles that use cutaway vans, and they have their own garage, but The Jo a lot of times store their buses at KCATA's facility. I afraid this has much to do North America (especially mid-size US agencies and below) has some of the most conservative transit agencies in terms of bus functionality over style. The prevalent mentality regarding public transit as a social obligation rather than a mean of achieving higher common good might also contribute to the persistence of such conservative bus designs approaching the 2020's. In fact, I bet the best Gillig will do discontinue the traditional front some point in the 2020s like Eldorado National has possibly done with the EZ-Rider II's and Axcess, as much of its customer base is this conservative.